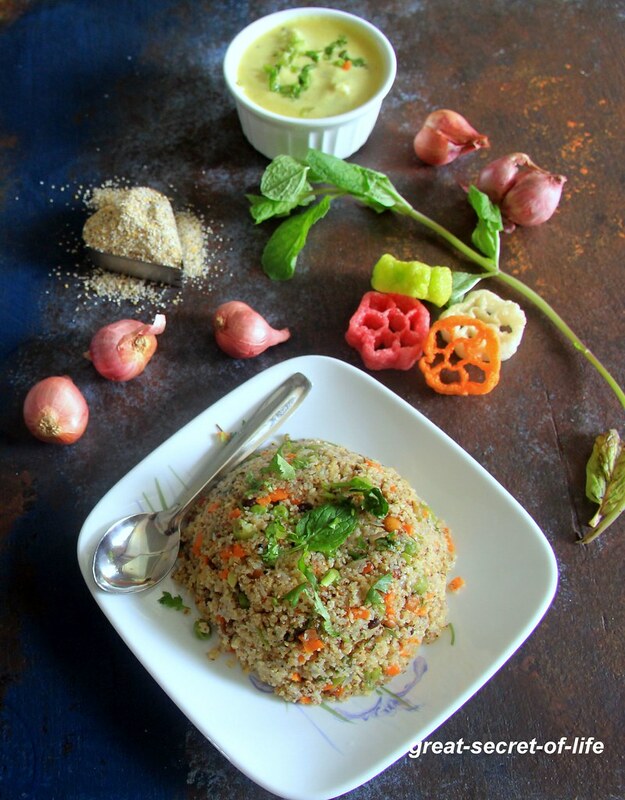 Are you bored with regular upma (rava or rice)? I saw this mixed millet rava in the shop. When I opened it I thought the rava was a bit small so I was not sure whether it was for Kanji or upma. I had decided to give it a try for upma. I have followed the same recipe as rava upma. I have added vegetables to make it a one pot meal. If I make certain millet (Pearl and ragi in upma form) alone my hubby would complain. But this one no problem at all. I love the nutty taste in it. I had this for breakfast and it kept me full till lunch.Do try it out if you can get this mixed millet rava. Heat oil in a pan. Add mustard seeds. Let it crackle. Add Urad dhal. Chana dal, Curry leaves, green chillies, Hing. Fry till dals are brown in color. Add Onion and fry till transparent. Add Vegetables and fry for 2 mins. 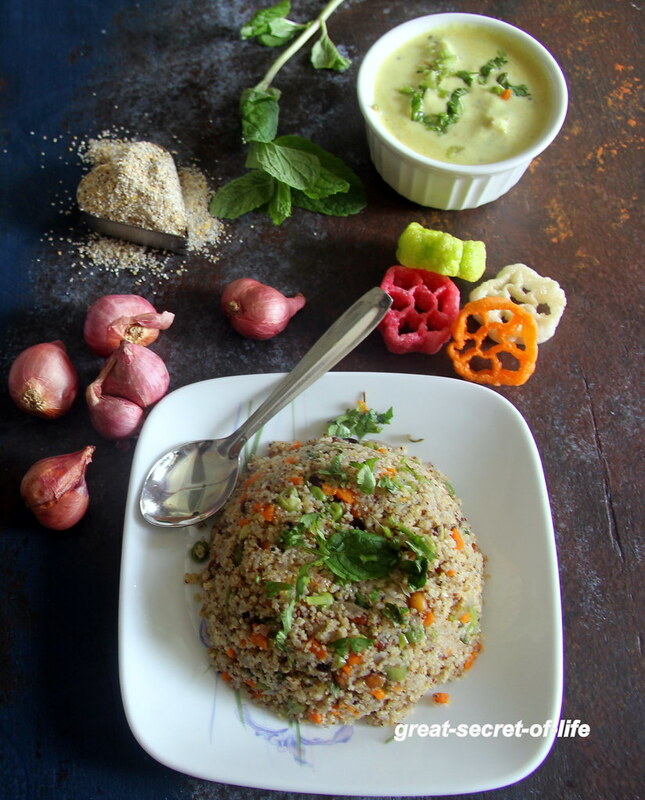 yummy and healthy upma! Nice video!! 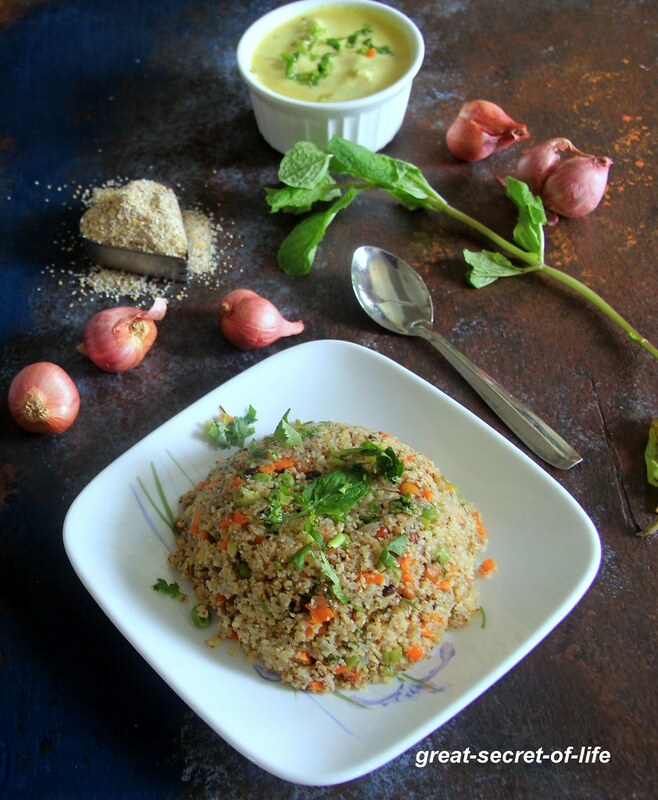 Do we need to roast the multi millet rava before use like we do for normal rava upma?